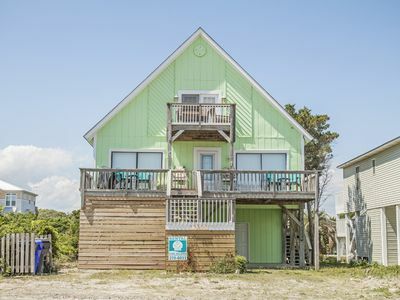 Misty Sea-"Mystic Sea" is a 4 Bedroom, 2 Bath 2nd row home that is sure to provide you and your loved ones the ultimate Oak Island vacationing experience!! 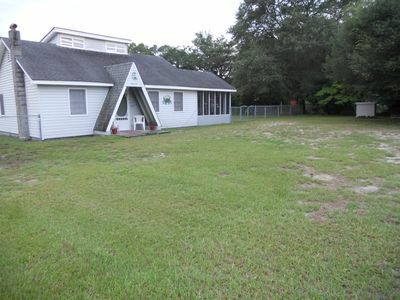 Located on the west end of Oak Island with great ocean views. Located just steps away from beach access, Blue Water Point Marina is also near by so make sure you bring your boat, also jet ski and boat rentals are located at the marina. Bed sizes include 3 Queens and 3 Twins (1 twin over twin bunk) and Q sleeper sofa. 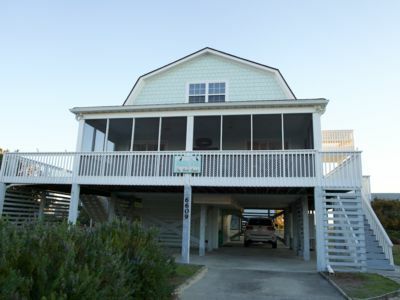 Amenities include covered parking, a ocean side open deck, ceiling fans, extended cable, wireless internet access, puzzles, games, books, a fully equipped kitchen for all of your cooking needs, a dishwasher, a washer and dryer, and an outside shower. Come to the "Mystic Sea" to vacation in comfort while experiencing all the beauty and nature Oak Island has to offer!! Amazing Vacations at Amazing Grace, Oak Island, ~NC~! A Frame Beach Cottage Mins From The Beach !! 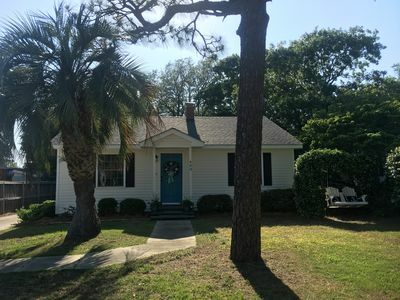 The Perfect Beach House - Oak Island, BOOK YOUR SUMMER VACATION NOW!! !